IRONMAN, a Wanda Sports Holding company, today announced the addition of the IRONMAN® 70.3® Edinburgh, Scotland triathlon. The inaugural race will take place on Sunday July 2, 2017, with registration opening on Monday, December 19, 2016. With the addition of this new race, the IRONMAN calendar in the United Kingdom and Ireland now features eight events which include IRONMAN UK, IRONMAN Wales, IRONMAN 70.3 UK, IRONMAN 70.3 Staffordshire, IRONMAN 70.3 Dublin, IRONMAN 70.3 Weymouth as well as VELOTHON® Wales within the IRONMAN portfolio. Approximately 2,000 athletes are anticipated to head to Edinburgh, the country’s capital, and the surrounding East Lothian and Midlothian countryside for this inaugural race. Dating back thousands of years and home to the many iconic historic sites including the Palace of Holyroodhouse, Edinburgh Castle and the Scottish Parliament, Edinburgh is known to be one of the world’s most beautiful and compelling cities. The area is rich in history, combining a cosmopolitan capital city with verdant countryside. It offers an attractive coastline which provides a fantastic setting and destination for thousands of athletes, their friends and families. Located on the easily accessible South East coast of Scotland, Edinburgh is served directly by multiple airlines from over 100 destinations, as well as fast and direct train lines from London and cities across the UK and Scotland. The IRONMAN 70.3 Edinburgh, Scotland triathlon will start at the historic Gosford House and feature a 1.2-mile (1.9km) sea swim from Gosford Sands on the Firth of Forth. Upon exiting the swim, athletes will then embark on a 56-mile (90.1km), one-loop bike ride on closed roads through the rolling countryside of East Lothian, Midlothian, and through the outskirts of the city centre of Edinburgh and Dalkeith country park. The athletes will then arrive in the transition area at the spectacular setting of Arthur’s Seat, a dormant volcano, in Holyrood Park. The athletes will head off on a beautiful multi lap 13.1-mile (21.2km) run within Holyrood Park before crossing the finish line. “Having lived and trained in Scotland throughout my career and having to always travel afar to compete in IRONMAN events, I was absolutely delighted to hear that IRONMAN 70.3 is coming to Edinburgh, a city that I am extremely fond of, where I studied at University and have spent so much time through life,” said Scotland’s multiple IRONMAN winner Fraser Cartmell, from Stirling. “I know all fellow Scottish triathletes will be equally thrilled at the prospect of a home IRONMAN 70.3 event. - It is not only extremely exciting for the expansion of our sport but it obviously provides the perfect platform to showcase our fantastic scenery. I cannot wait to stand on the start line!" General registration for IRONMAN 70.3 Edinburgh, Scotland will open at 8 a.m. ET/2 p.m. CET on Monday, December 19, 2016. IRONMAN 70.3 Edinburgh, Scotland will offer a $25,000 USD professional prize purse and 35 age-group qualifying slots to the 2017 IRONMAN 70.3 World Championship taking place on September 9 and 10 in Chattanooga, Tennessee, USA. More information about IRONMAN 70.3 Edinburgh, Scotland can be found at www.ironman.com/edinburgh70.3. 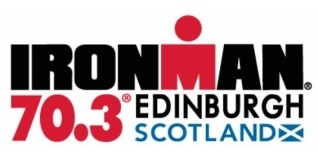 Athlete inquiries may be directed to edinburgh70.3@ironman.com.